Recently, we published a post on how to customise or disable siri inwhich homepod was included and we get diferent testimonies on our mail about it work. Then most iOS users don't even know how to disable the siri talkless of customising but after publishing that post here, Many people sent a "Thanks" mail to us. But today we will talk about using the homepod with your Apple TV. Apple’s HomePod is a great little speaker, and while you can AirPlay music to it from your iPhone, you can also wirelessly hook it up to your Apple TV through AirPlay. Here’s how to do it. 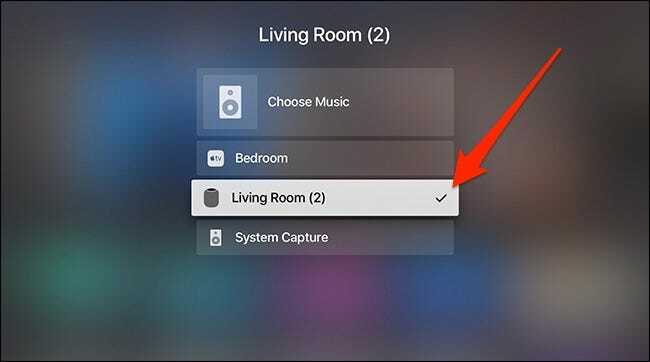 You must have this in mind before going through these steps below...Using your HomePod as your new home theater speaker setup, it’s important to know that using the HomePod like this isn’t really its intended purpose. The HomePod only works with your Apple TV and no other television inputs. So, for example, if you frequently go back and forth between your Apple TV and watching cable on a different input, you won’t be able to use the HomePod as a speaker for when you watch cable. Let's be frank...that AirPlay itself has a bit of a lag since it’s a wireless protocol. However, the Apple TV and the HomePod are smart enough to recognize this and compensate for the lag so that video and audio are lined up just right. The bad news is that this really only works with video content. If you play any games on your Apple TV, the lag is more apparent. You also need to reconnect the HomePod to your Apple TV every time you reboot either device. And if you ever tell Siri to play music on the HomePod, the HomePod will disconnect from your Apple TV, just take note of that very well, nevertheless the HomePod is only compatible with the Apple TV 4 and Apple TV 4K. So if you have an older model, it might not really work the way it should. Using your homepod with your Apple TV, it enables you to control video playback a little bit using Hey Siri on the HomePod. Things like play/pause, volume, and scrubbing can all be done using your voice. So if anything, this gets you one step closer to being able to control your Apple TV with your voice. Stay tuned while I show you the steps to connect the homepod to the Apple TV. >> With your HomePod and Apple TV on the same network, start by holding down the Play/Pause button on your Apple TV remote for about three seconds until a menu pops up on the screen. >>After doing that, the menu lets you select the audio output. In this case, you will have to select your HomePod. >>After the selection of the HomePod, a checkmark displays next to it. Press the “Menu” button on your Apple TV remote to go back to the home screen. >>When you get to this stage, you can begin using it as usual or still use your Apple TV remote to adjust the volume of the HomePod, or use the touch panel on the HomePod itself. An indicator appear in the top-right corner of the screen to show you the volume level. NOTE: When pausing or scrubbing through the video you may notice some increased lag depending on which app you use to play video content, but eventually it will sync back up without a problem.